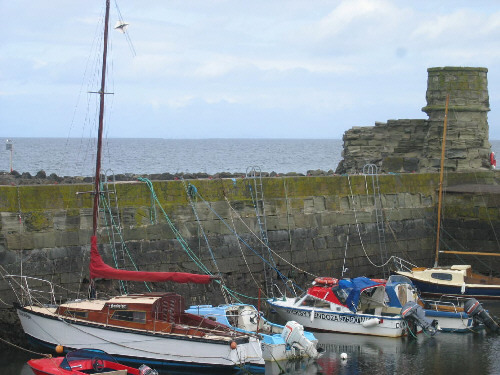 Dunure is a small village located 5 miles (8km) north west of Maybole in South Ayrshire. A small fishing village whose history dates from the early 19th century. This is a pciture of the harbour. Other noteworthy structures include Dunure House, built in 1800, Dunure Mill, and Dunure Castle at which the Commendator of Crossraguel Abbey was roasted.